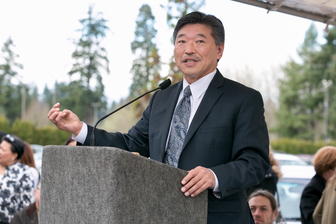 OLYMPIA – A proviso that was included in the state operating budget and was proposed by Sen. Bob Hasegawa, D-Seattle, funds an interim task force to look at creating a publicly-owned state bank, and make recommendations for the 2018 Legislature to take action on. The Legislature passed a $43.7 billion operating budget late Friday night, appropriating $75,000 for the state bank task force. 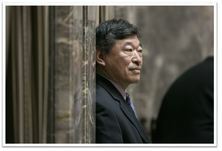 Hasegawa has been the Legislature’s champion on the issue of a state bank for years, introducing numerous pieces of legislation, most recently Senate Bill 5464. The task force will examine the financial needs of local governments necessary for constructing public infrastructure, as well as the feasibility of creating a publicly-owned bank, among other objectives. They will provide draft legislation based on their findings to the Legislature by Dec. 1, 2017 for consideration in the 2018 legislative session. The task force will consist of members of the Legislature from both chambers and parties, members of the public with relevant experience and representatives from certain financial institutions, state agencies and other branches of government. To read the proviso click here and go to Section 123. With only hours to go before the deadline, a state budget passed the Legislature and was sent to the Governor’s desk for his signature – narrowly avoiding a government shutdown. Unfortunately, I had to vote no on the budget because it relied almost entirely on a regressive property tax increase that would have hit the 11th Legislative District especially hard. Balancing our state responsibilities on the backs of middle- and low-income families and individuals who already pay more than their fair share is simply not good enough. I am grateful to my colleagues who fought to include essential investments for our mental health system, homelessness assistance, implementation of the Clean Air Rule and the collective bargaining agreements for public employees. It also makes significant investments into our K-12 system, however it doesn’t really address the state Supreme Court’s requirement in the McCleary ruling that the basic education funding come from the state is sustainable and reliable. The new money from property taxes is capped for four years and then subject to growth limitations, which will put us in the same situation in four years that we’re trying to resolve now. One bit of good news is that I was able to get a budget proviso for the state to convene an interim task force to look at creating a publicly owned state bank. As you probably know, I’ve been working on this issue for several years now and the concept is really starting to gain traction. With the state bank, we would keep our tax dollars in Washington State, working for Washington State and not send it to Wall Street for them to use to make profit for themselves. It would provide huge financing capacity to fund critical infrastructure without having to sell bonds through Wall Street brokers. We simply don’t have enough money to keep going into debt to Wall Street to fund critical infrastructure. The added bonus is that it would generate much needed new revenue for the people of our state without raising taxes. It’s a win-win. For more information on that effort, please click here. 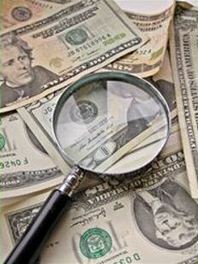 As I write this, negotiators are still working on the Capital Budget. At last check, a number of 11th district projects were funded, including for the City of Renton’s No. 1 priority, Sunset Park, and a study to look at the efficacy of electrifying our rail infrastructure. This project is known as Solutionary Rail and can help reduce a major source of carbon emissions. The budget, SHB 1075, passed out of the House early Saturday morning with a vote of 92-1. It is now up to the Senate Republicans to allow the bill a vote. Despite the positive elements in the budget, I simply could not vote for a property tax increase that isn’t fair or sustainable. The Legislature also just passed a full set of new tax exemptions totaling almost $100 Million, including extending the Boeing B&O tax break to all manufacturers. This is another shift of tax burden from corporations onto the backs of working families. We only had a few minutes in Ways and Means to review the full budget comprised of 680 pages across 3 books before we voted on it – and only a few hours before voting it off the Senate floor. I encourage you to look at the documents by clicking here. Thank you for being an engaged constituent. Please don’t hesitate to contact me with your thoughts regarding Legislative issues.